Are your children preparing for the West Virginia Educational Standards Test, known WESTEST? WESTEST, or WESTEST 2 as the latest version of the test is called, measures the progress of students from third grade to eleventh grade. West Virginia WESTEST results provide actionable data that will help parents, teachers, and students improve academic performance in reading/language arts, math, writing, science, and social studies. The West Virginia Department of Education (WVDE) also uses WESTEST results in evaluating each school’s Adequate Yearly Progress (AYP) as required by the federal No Child Left Behind Act (NCLB). Time4Learning and Time4Writing—two online services that teach many of the WESTEST 2 test skills—offer this page to support your research on the best ways to help your kids with WESTEST 2 practice and preparation. WESTEST 2 exams are aligned to the West Virginia 21st Century Content Standards and Objectives (CSOs). These West Virginia state standards define what West Virginia students should learn in every grade. The annual WESTEST 2 testing is administered to 3rd, 4th, 5th, 6th, 7th, 8th 9th, 10th, and 11th grades. All students take WESTEST 2 exams in reading/language arts, math, writing, science, and social studies. The writing test is called WESTEST 2 Online Writing, and as the name implies, is done online. All other WESTEST exams are paper and pencil tests. West Virginia students in 8th and 10th grades also take ACT EXPLORE and ACT PLAN assessments respectively. These national norm-referenced tests provide further information about students’ strengths and weaknesses in core subjects, as well as insights into potential career paths. Eighth grade students also take the Online Technology Assessment (OTA) to assess their technology literacy skills. 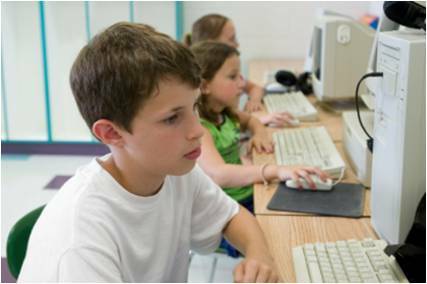 In addition, the West Virginia Health Education Assessment Project (HEAP) online test is taken in grades 6, 8 and/or 9-12, upon completion of the health education course. WESTEST 2 Online Writing is scored on a 6-point scale that measures the following writing skills: Organization, Development, Sentence Structure, Word Choice, and Mechanics. A performance level is also assigned. Achieving the Mastery level or above is considered passing the WESTEST 2 tests. Some West Virginia schools use WESTEST results as a factor in determining grade promotion, but passing WV WESTEST exams is not a requirement for graduation. If your child is struggling with WESTEST, be proactive. Contact the school and find out what you can do to support learning at home. West Virginia Measures of Academic Progress (WVMAP) includes alternate assessments that promote learning for all students. The West Virginia Alternate Performance Task Assessment (APTA) is designed to measure the progress of students with severe cognitive disabilities. Students with Limited English Proficiency (LEP) take the take the West Virginia Test for English Language Learners (WESTELL), which measure progress in English language acquisition. West Virginia also participates annually in the National Assessment of Educational Progress (NAEP), known as the Nation’s Report Card, where a sampling of students (from grades 4, 8, and/or 12) are tested in several content areas as part of a nationally representative assessment of student performance. The real preparation for the WESTEST 2, or any standardized test, begins with your commitment to your children’s education throughout their school years. Devote time and effort to helping your children learn. Start by making sure your kids do their homework and read every day. Many families also employ tutors or an online learning program, such as Time4Learning, to build fundamental skills.